By clicking ⌘+Option (Alt)+ESC you will get a specific window similar to the image right. 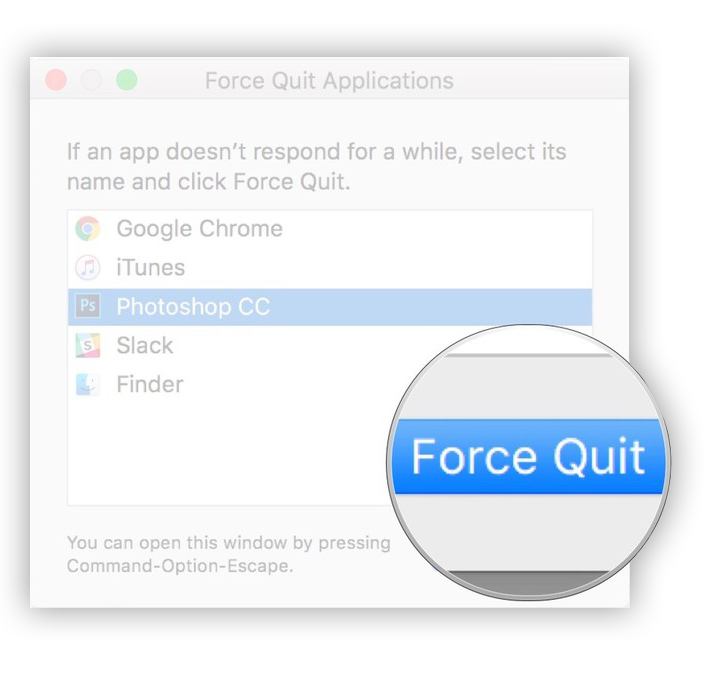 Here you can forcibly close problematic applications. 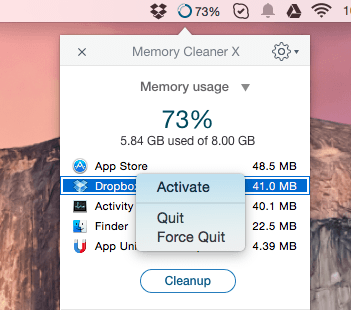 If you use our free app Memory Cleaner X, you can close the app in another way. Here you can also see how much memory is used by a particular application as well as unused free memory. 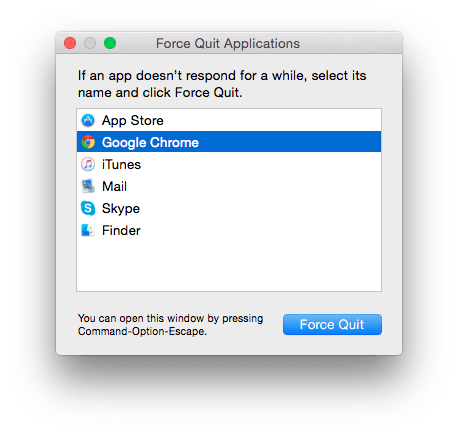 Thus accelerating your Mac.